I do not know if I have ever heard of parish named “St. 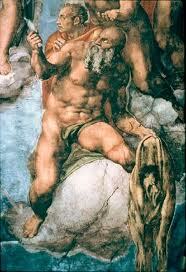 Nathaniel’s,” but I know there are St. Bartholomew’s parishes all over the world. That is amusing to me since they are most likely the same person and he seems to be better known, or at least more celebrated, by what we would call his last name. St. John gives no list of the Apostles in his own account of the life of Christ, but neither does he ever mention St. Bartholomew. St. Philip, who is always mentioned alongside St. Bartholomew, figures prominently into the call of (Saint) Nathaniel in St. John’s Gospel. What else would suggest they were the same person? “Bartholomew” is what is called a “patronym,” a name which is derived from one’s father. Modern examples might be names like Stevenson, which, in a bygone day, would have meant that the bearer of this name was actually Steven’s son. The prefixes Mac and Mc in Scottish and Irish names convey the same meaning. MacDouglas would have been Douglas’s son, while McDonald would have been Donald’s son. In Hebrew, “son of” is signified by the word “bar.” We see this in St. Matthew’s Gospel when Jesus refers to St. Peter as “Simon Bar-Jonah,” meaning “Simon, the son of Jonah.” (16:17) Similarly, sometimes the sons of Zebedee are referred to as John Bar-Zebedee or James Bar-Zebedee. Though we think of it as a somewhat outdated first name, Bartholomew is a partronymic name which means “Son of Ptolemy.” Ptolemy was a popular Greek name made famous by one of the generals and successors of Alexander the Great. The most commonly held belief regarding Bartholomew and Nathaniel is that the Apostle was named Nathaniel (a Hebrew name meaning “Gift of God”) and that his father was called Ptolemy. That would have made his full name Nathaniel Bar-Tolemy, which has become today Nathaniel Bartholomew. So, why would someone choose to be known by their father’s name rather than their own? Sometimes it is for clarity’s sake. Most of us have been at a family reunion and introduced ourselves as “Greg’s son” or “Joe’s grandson.” We do this because the person we are meeting is really looking for a family connection more than just a name. At those occasions, giving your last name might not be all that helpful. The room could be full of people with that last name; it is a family reunion after all. At other times, identifying yourself in terms of your father or mother is a sign of respect. By referring to yourself in terms of your father, you acknowledge their prestige and your position in relation to them. But, more to the point, St. Paul tell us in his Epistle to the Ephesians that there is “One God and Father of all.” (4:6) We are all His sons and daughters and we are all called by His name. As such, our actions reflect not only on our earthly parents, but on our Heavenly Father as well. When we identify ourselves as Christians, we are claiming God as Our Father and, in doing so, we are putting His name before ours. His name is great and glorious and can only bring us blessings and salvation. What do our actions bring to His name? How do we represent Our Father in Heaven? Whether he is called Bartholomew or Nathaniel matters very little. I prefer Nathaniel since it is my oldest son’s name. Whatever name he went by, the Apostle brought honor to both his father on earth and his Father in Heaven. He is reported to have spread the Gospel as far as Ethiopia and India. According to tradition, he was martyred in Armenia, where he was flayed, skinned alive and crucified for upholding his Father’s name. Almighty and everlasting God, who gave to your apostle Bartholomew grace truly to believe and to preach your Word: Grant that your Church may love what he believed and preach what he taught; through Jesus Christ our Lord, who lives and reigns with you and the Holy Spirit, one God forever and ever. Amen.